JNU Eligibility 2019 has been prescribed by the JNU for all courses. It is necessary for all the candidates to fulfill the complete eligibility criteria. 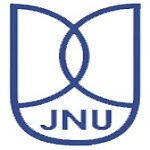 Jawaharlal Nehru University Entrance Exam (JNUEE) is conducting by NTA to get admission into UG, PG & Ph.D. programmes. In this article, we are providing the detailed information related to the JNU Eligibility Criteria 2019. The University offers different courses in the field of arts, science, computer application, etc. Each course has different eligibility criteria. In this table, we have updated the complete eligibility criteria to apply for JNUEE. Candidates have to fulfill the given JNU Admission eligibility criteria to fill JNU Application Form & appear in the examination. Minimum Marks: Obtain minimum 45% marks in the qualifying exam. Minimum Age Limit: 17 Years as on 1st October 2019. Qualifying Exam: Pass 1st year of Bachelor Degree from a recognized university. Minimum Marks: Secure at least 50% marks in the qualifying exam. Minimum Marks: Secure minimum 45% marks in above exam. Minimum Age Limit: 18 Years as on 1st October 2019. Qualifying Exam: Pass Bachelor Degree from any recognized university. Minimum Marks: Secure minimum 50% marks in aggregate in the qualifying exam. Qualifying Exam: Should Pass Bachelor Degree from a recognized university. Minimum Marks: Score at least 45% marks in the above exam. Economics (Hons.) with Mathematics as subsidiary subject or Mathematics(Hons.) with Economics as a subsidiary subject or Statistics(Hons.) with Mathematics and Economics as subsidiary subjects. Pass any other bachelor degree with Economics & Mathematics & secure 60% marks. Qualifying Exam: Pass Bachelor Degree with minimum 50 % marks in Social sciences. Pass Bachelor Degree with at least 55% marks for in science and technology stream. Qualifying Exam: Pass Bachelor’s degree (B.SC or B.Tech or equivalent) from any recognized university. Minimum Marks: Obtain at least 55% marks in the qualifying exam. Qualifying Exam: Pass Bachelor Degree in any disciplines from a recognized university. Minimum Marks: Secure minimum 55% marks in the above qualifying examination. Qualifying Exam: Pass Master Degree in Computer Science or Mathematics or Statistics or Operational Research or in any branch of Science or Bachelor’s degree in any branch of Engineering or MCA. Minimum Marks: Secure minimum 55% marks. Qualifying Exam: Pass 2-year M.Phil degree or Pass 1-year M.Phil degree with one-year research experience. Pass Master’s degree/BE/B.Tech & have at least 2-year research experience. Minimum Marks: Score minimum 55% marks in the examination. Pass M.Sc in relevant subject. Candidates who have qualified for the examination for a fellowship through a national level written test, i.e. JRF category under CSIR/UGC National Eligibility Test (NET)-JRF, DBT-JRF (Category-I), ICMR-JRF, INSPIRE Fellowship, Ayush Fellowship, Bioinformatic National Certification (BINC) examination (conducted by DBT) or any other fellowship awarded from Government of India. If you have any query about JNU Eligibility 2019, you can leave your comments in the comment box below. Which month will be declare mph admission form??? Sir…I am statistics student…am i eligible for MA history in jnu? sir. I want to take admission in bsc honors in chemistry… what at are eligibility criteria?? ?plz provides de me information entrance exam. Can jrf holder get admission in phd in jnu without giving entrance. I want to take admission in MA English…what at are elig. Creteria.? Please provi.me information entrance exam . Under 17. What he couldn’t fill the admission form of Jnu. Is J.N.U offers B.A. Honours in Political Science??? Sir I am Bsc chemistry hons 4th student. Can i appear in exam this year??? My 12th cbse exam over what is the procedure of admission in JNU BSc honours please the details immediately. Can I apply for MSW in JNU this year. I am a Graduate in Sociology. i am not able to fill the application form of jnu as age criterion is 17 years as on 1-oct-2016 but here you have mentioned 17 years as on 01-oct-2017. i want to know which is the correct one? it would be kind of you if you can reply little soon. what is the procedure to take the admission in M.Ed. can I take admission in undergraduate mass communication?? Which month will be declear mph admission form??? information about m.phil in history. Or how much % is required fo MA in English? May I know the maximum age limit for PhD and the expecting date of entrance for this. sir i am left with my sem 6 exams for bsc which will be held in april so i am eligible? Is there course of b.sc(physics) or b.a(sociology) ? i had done bscmlt distance from Vinayaka mission university.am i eligible to do msc microbiology from JNU. what’s the procedure? Do you have Master course in International Relations? sir i want to take admission in history for MA. So when jnu organised entrance exam? What is the date of open online admission form? How can I take admission in JNU for MSc in chemistry. Which entrence exam is organised to take admission and when. …..
Sir I have qualified B.Sc with 50.3% in 2015. i want to know that am i eligible for M.Sc. physics from JNU. I m a bhutanese n it has been five years since I complete my 12 in science stream. Will I get admission in JNU for Bsc. Kindly inform me what is the procedure for admission. Sir,what is the eligibility criteria of MA in history…please tell me. .
hi sir i am intrasted ma egucation plz .and canfarm admissn procase. Iam appear in law graduate and I want to do m.phil in international legal study . so please suggest me (gide me ). Sir, i want to take admission in jnu for the course of translator. Is this course running in jnu?? i want to take admission in phd in jnu or du then i have to qualify net or any other special entrance exam of jnu? Iam a commerce graduate .am i eligable for ma philosophy. Is there anthropology as a core for masters ? How merit list will be created?? Have a any role of graduted degree in merit list..
What’ is the last date of submission application form? information about the admission for M.tech in mechanical. you will have to qualify NET.